Bluetooth is just one of four ways you can send music to this great-sounding speaker, but it's awkward to set up and its controls leave something to be desired. Bluesound’s Pulse Mini produces great sound, meshes with other Bluesound products for multi-room scenarios, and goes well beyond your standard air-pusher with the ability to play a plethora of file types from USB storage and shared folders on your network, in addition to online streaming services and radio. It supports Bluetooth, of course, but you can also add it to your home network with or without a cable. This $500 speaker is relatively inexpensive by boutique audio brand standards, but that’s a fair stack of coin for most users. And for the price, it should deliver a better out-of-box experience up front and be outfitted with better controls for the long haul. 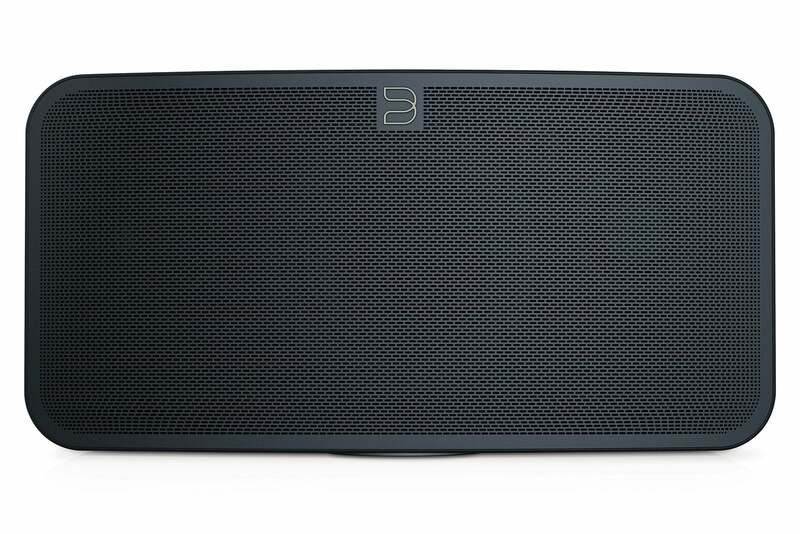 The Bluesound packaging looks worthy of a $500 speaker, and the speaker itself comes sheathed inside a fabric bag rather than plastic. Top shelf, baby! Okay, maybe a shelf below black velvet, but I’m a house-pour kinda guy. The ethernet and power cables are found in cardboard pockets that surround the speaker in the box, which brings me to my first minor gripe—the absence of 3.5mm analog and digital optical (TOSlink) cables. There’s a 3.5mm-to-optical adapter, but that’s it. This could be considered eco-conscious rather than parsimonious, if you either don’t need them or have spares lying around. But that trip back to the store for a cable is a pain. Bluesound is a bit stingy with the help, too. 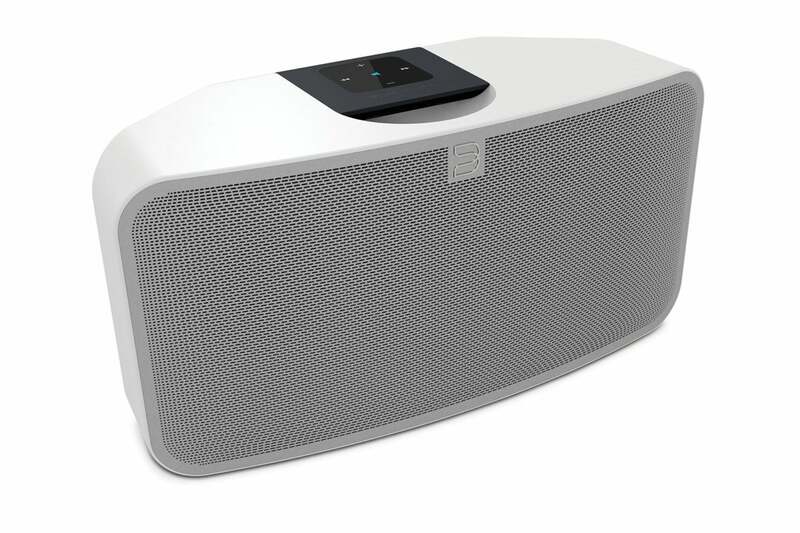 There’s a quick-setup sheet, but it pretty much begins and ends with telling you to plug the speaker into an AC outlet and then download the Bluesound app. That would be fine if there were comprehensive help in the app. There isn’t. Instead, the app sends you online where you must wade through a series of “commonly asked questions,” which might—or might not—tell you what you need to know. 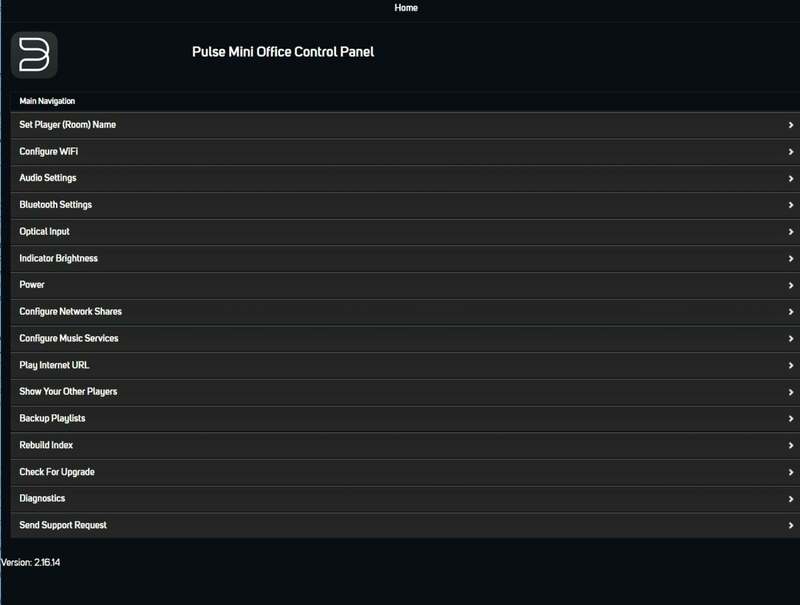 The Bluesound Pulse Mini Web browser interface. 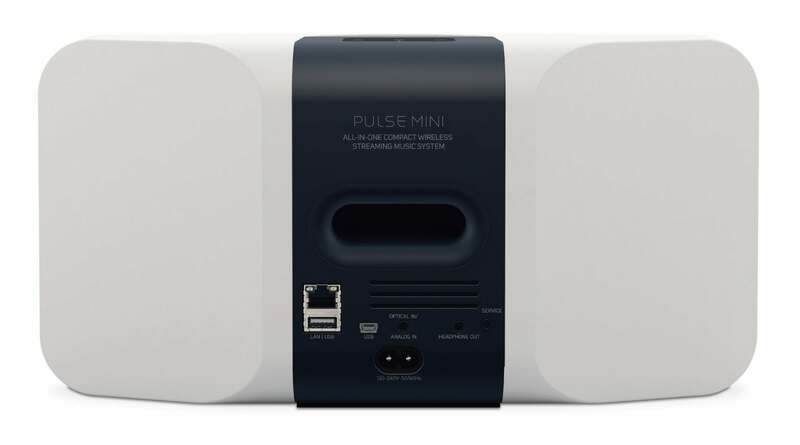 The Pulse Mini features Bluetooth, Wi-Fi, ethernet, USB, and streams from services. There’s also a mobile app and a Web interface (surf to the devices URL after it’s connected to your Wi-Fi or ethernet). A comprehensive user’s guide is in order. Normally, I’d dig into the design and features at this point, but as the Pulse Mini’s sound is what redeems all its peccadilloes, I’ll visit with that first. To be perfectly honest, I wasn’t in love with the way Bluesound EQ’d the Pulse Mini out of the box—just a wee bit too thumpy and flat to my older ears. Fortunately the company provides software treble and bass controls with up to 6dB of cut or boost applied in a very musical fashion. I was able to dump enough bass and add the touch of shimmer that I personally go for. Conversely, you can tweak it for enough thump that even dancing revelers will have little to complain about—in a small room at any rate. The 60-watt Pulse Mini is pretty loud, but it is after all the “mini” in the lineup. The slightly larger 80-watt Pulse 2 is likely the bolder party animal. For some reason you can’t see the Pulse Mini’s drivers through the grill in this photo; you can in real life. It’s a great sounding speaker, but as with nearly all single-box, front-firing speakers, the stereo field is on the narrow side. I have only one minor gripe; my universal complaint about any speaker that isn’t two speakers: a narrow stereo field. That’s an issue with the category, not the Pulse Mini in particular (although side-firing drivers have been known to help in the right acoustic environment). All told however, the Pulse Mini is a very good sounding speaker; in fact, I’d say it’s light-years better than what you find in the $100 to $300 range. Note: I tested the the box both streaming via Wi-Fi, which is the supplied app’s preferred method, as well as Bluetooth from Android players that also support the aptX codec. The Wi-Fi was slightly cleaner, but it was a near thing. 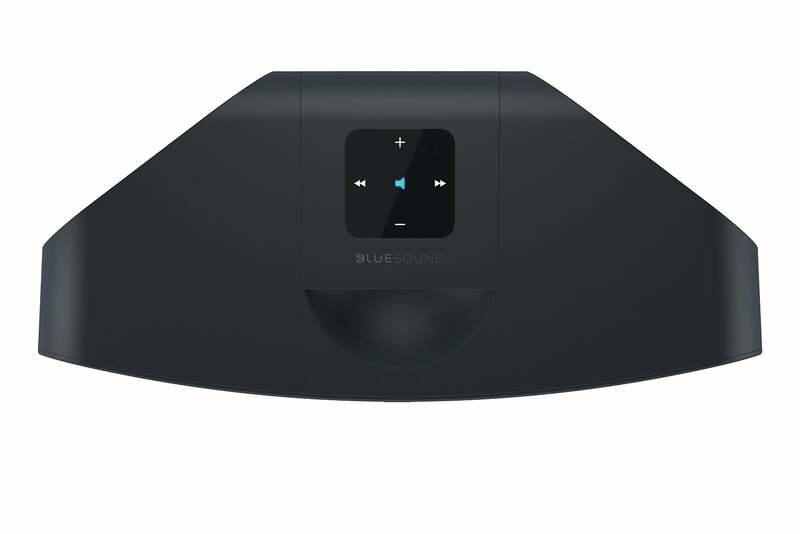 I’m a bit of a codec hound, and Bluesound supports quite a few of them, including two of my favorites that many audio vendors skip: Windows Lossless and Opus. Opus files are rare, but it’s a very high-quality lossy standard. And I like the name. Ha. MQA is also supported. Some TechHive editors are enamored with MQA; personally, I’m still trying to track down hard technical info on what exactly might make that codec special. Of course, the Pulse Mini supports the usual suspects, including MP3, lossy WMA, Apple (lossy AAC and lossless ALAC), FLAC, and WAV. The speaker supports sampling rates from 32kHz to 192kHz at depths ranging from 16- to 24-bit. The list of streaming services supported is equally comprehensive and includes Spotify, Amazon Music, TIDAL, Deezer, Qobuz, HDTracks, HighResAudio, Murfie , JUKE, Napster, Slacker Radio, KKBox, Bugs. TuneIn Radio, iHeartRadio, Calm Radio, and Radio Paradise are also supported. Back to the Pulse Mini’s physical attributes: It comes in black or white, cuts a nice profile, and features minimally distracting lights that can be dimmed or turned off. It measures 13.2 inches across, 6.1 inches deep, and 6.8 inches high Weighing about 8 pounds, it’s moderately hefty as a quality speaker should be (to transmit bass to acoustically coupled surfaces). A handy recess on top of the unit serves as a handle. The top is also home to my least favorite part of the Pulse Mini: the control plate. You’ll find volume up/down, next/previous track, and play/pause symbols, but they’re positively lifeless. While you will eventually hear the result of a press (except for volume, if you’re paused), there’s a slight lag. It’s a slightly odd and not entirely pleasant tactile experience with no click, vibration, light pulse, or any other feedback indicating that you indeed touched the proper control. The controls for the Pulse Mini look nice, but to our lights (pun intended), the lack of any type of feedback when you touch them other than the result makes for a less steady experience. The front of the Pulse Mini is home to the power indicator light, which can be dimmed or turned off (in conjunction with the top-mounted control panel), as well as twin 2.5-inch tweeters and and a 4-inch woofer (ported to the rear) hidden behind a grill. It’s on the back of the unit where things get interesting. There’s an ethernet port; a type-A USB 2.0 port, for playback from thumb drives and the like; a Mini-USB port for Bluesound’s diagnostics; a 3.5mm jack for headphones; and another 3.5mm jack for both analog and TOSLink optical input. I’ve already discussed the cables, or lack thereof. There’s also an AC jack—the unit does not run on batteries. As you can tell from the rear panel, the Pulse Mini can play back from analog, optical, and USB sources. It also features Bluetooth and Wi-Fi. The Pulse Mini is “tri-amped;” that is, there are separate amps for the left/right speakers and woofer. As mentioned, it’s rated for 60 watts total, but Bluesound doesn’t publish how much is directed to the woofer and how much goes to the full-range drivers. Most users will rely on the BluOS phone app to configure and control the Pulse Mini, but you can also do so using your PC and a web browser. Type in the Pulse Mini’s IP address, hit enter, and you’re presented with the same configuration options found in the phone app, just not as politely organized. What’s missing from the browser app is a media player and any sort of library functions. Phones are great, but there are reasons serious work is done on computers. I for one would’ve greatly appreciated being able to organize the various sources and control playback from within my browser. The library page from the Bluesound BluOS app. Joining a Wi-Fi network was easy. Indeed, the only real configuration snag I ran into was finding the shared folders on my network, of which there are many. The BluOS app has a “discover network shares” function, but it didn’t work for me. This may have something to do with my Windows workgroup not rocking the default name. Regardless, manually entering URLs and folder paths is not something many users are comfortable with. 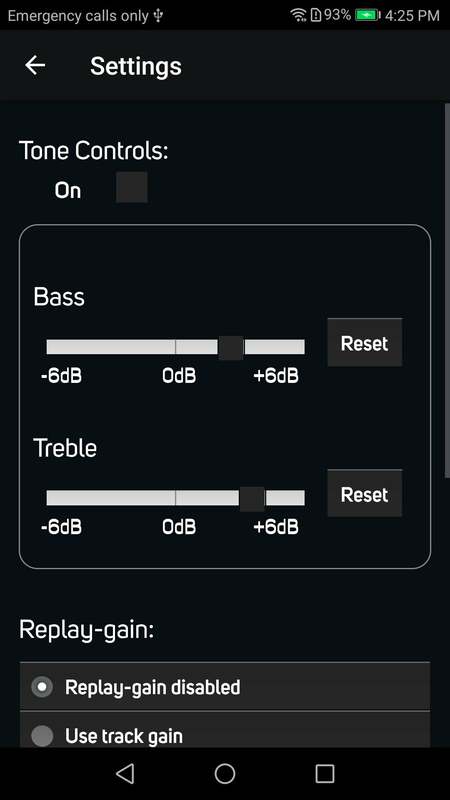 Bluesound BluOS app with bass/treble boost sliders. While you can log onto music-streaming services using the browser app, you need the phone to actually use them. It’s the only place where you can select songs and sources. 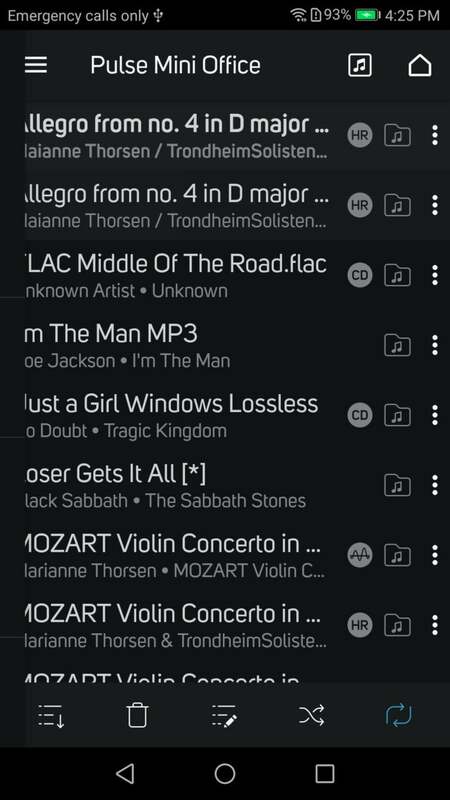 While the mobile app is generally easy to use, on my Android phone, it didn’t pick up the songs I have stored locally. It’s the only player I’ve ever tried that doesn’t. Mild annoyances like that can add up. You can pay a lot more for loudspeakers that sound no better than the Pulse Mini and that don’t have its myriad capabilities. And, if there’s a choice to be made, I’ll always opt for sonic excellence and features over the niceties of set-up and hand-holding. In the end, the Pulse Mini’s foibles are livable. But for goodness sakes, if you’re going charge $500 for a speaker, provide a decent user’s guide, throw in the required cables, and design controls that click, blink, flash, buzz, or do something when you press them. Sound is always the bottom line with speakers, and the Pulse Mini is a winner in that regard. Our only complaints are the touch controls that don't provide any visual or tactile feedback, and skimpy documentation.